Scientists at a research facility in the German city of Berlin dream of clothing that produces energy as we walk. They have combined very different nanomaterials into so-called energy harvesters. The energy harvesters have been designed to create energy out of, for instance, the movement of your feet. So scientists from an European Union research project have created tiny, flexible and durable batteries that can be easily embedded into fabrics. “We had to introduce nanomaterials into the components used for the battery electrodes,” Hahn said. “These nanomaterials provide very high power density even to small systems. But they must also be processed well, so that no agglomerates are produced. One of our main focus was then to succeed in printing these nanomaterials”. Both batteries and energy harvesters are made with a complex combination of nanofibers and ceramic nanoparticles, among other components. Quality controls at microscopic level were needed to ensure the components had the properties required to create and store energy safely and efficiently. 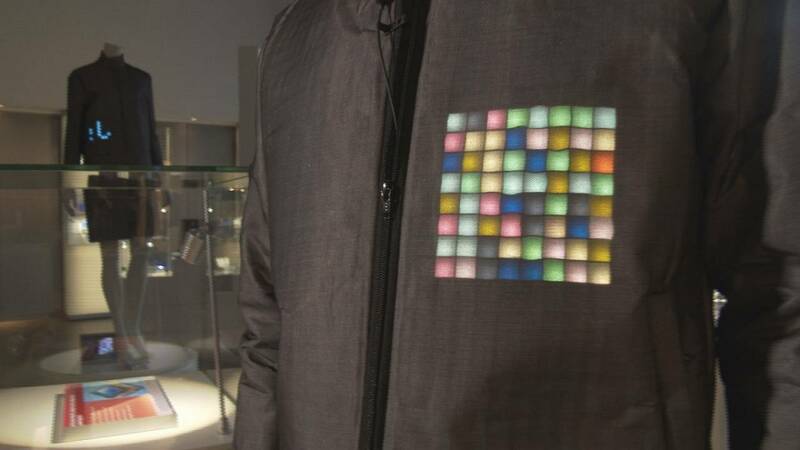 The final aim is to obtain micro-electronic elements that can be easily embedded into fabrics. “The main challenge is to ensure the mechanical flexibility of the electronics, to make the electronics flexible and at the same time to make the batteries very elastic, so that the whole system retains its textile character,” said Malte von Krshiwoblozki, an engineer for microsystem technologies at Fraunhofer Izm. Researchers are now looking ahead, with some practical uses for this technology. Scientists say their innovative products could be ready for the shops in less than five years.